2018 promises to be an exciting year for the cookstove industry. The needs of families living in emerging markets are changing, and we’re able to meet them with cooking solutions that match their habits and consumer patterns better than ever. The success of these efforts can be measured in households reached, and in Q3 of 2017 we achieved an industry leading 1.5 million biomass cookstoves sold, impacting over 7.5 million people around the world. We also surpassed a major milestone of 1 million carbon credits sold (both Verified Emission Reduction and Certified Emission Reduction credits), which shows that our cookstoves are doing real, measurable good for the environment. Being the industry leader means that our work doesn’t end with the sale, and Envirofit has innovated new services and programs to keep customers happy and adoption high. We have developed customer care teams that offer aftersales service in Kenya, Ghana, Honduras, Mexico and India. We have explored new targeted marketing campaigns through a cooking competition in India. In Ghana and Kenya we used social media to create a community of 40,000 people who are engaged in the conversation about clean cooking. We have developed a global supply chain that can swiftly deliver stoves to respond to emergencies like the earthquake in Mexico. Our Women’s empowerment programs continue to increase cookstove sales and adoption. In October, we shared our lessons learned from five years of innovation across our Women’s Empowerment Programs, which we presented at the Global Alliance for Clean Cookstoves 2017 Clean Cooking Forum in India. 2018 will be a year of groundbreaking innovation and committed service. I look forward to attending the World Economic Forum in Davos, Switzerland in January, with the goal of bringing greater visibility to the clean cookstove sector. 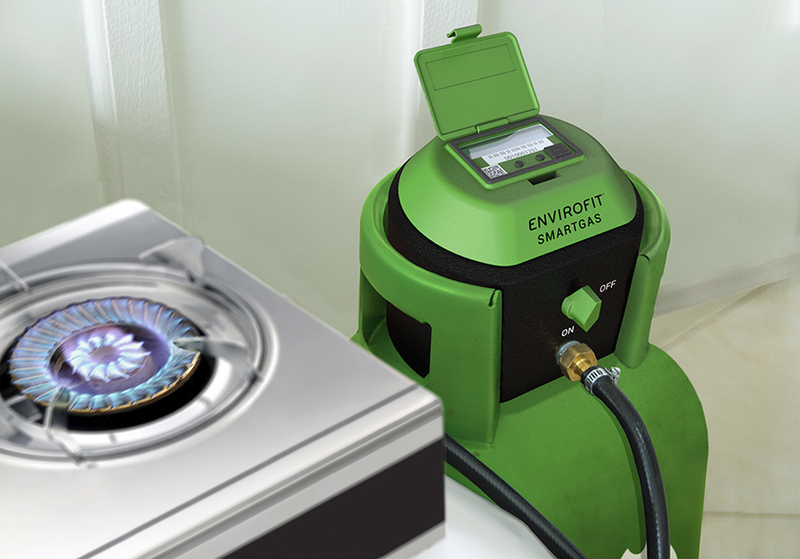 Envirofit’s new SmartGas program is off to a good start, servicing customers in Kenya and Ghana, and will reach thousands of homes throughout next year. Helping consumers transition up the energy ladder will take more than providing an LPG connection. It takes the power of nanofiance to change how people think about the role of household energy. It takes new technology to make $.50 worth of LPG available at the push of a button. And it takes you: our dedicated team of investors, innovators, and partners who won’t stop until every household has a clean cooking technology solution.